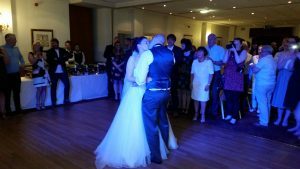 Always a pleasure to supply our fab wedding DJs for happy couples celebrating at the Dunkenhalgh Hotel. 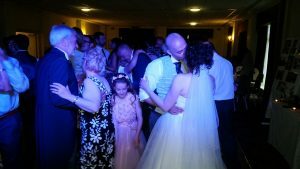 This popular wedding venue in Clayton Le Moors near Blackburn plays host to many weddings & events through the year. 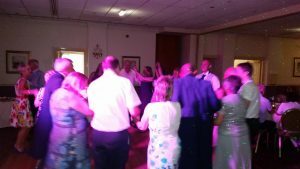 On this occasion, wedding DJ favourite Andy B was playing for the evening reception of Mr & Mrs Hazzelby Owens in the Towneley suite. Still going strong at 1am!